How to avoid getting your packages stolen! This is the new age of combating thieves who steal packages from doorsteps, a growing problem as more Americans shop online. There's nothing more disappointing than anticipating your package's arrival, rushing to your doorstep, and finding that it has disappeared! 23 million people said they have had packages stolen from where they live before they could open them, per InsuranceQuotes.com . 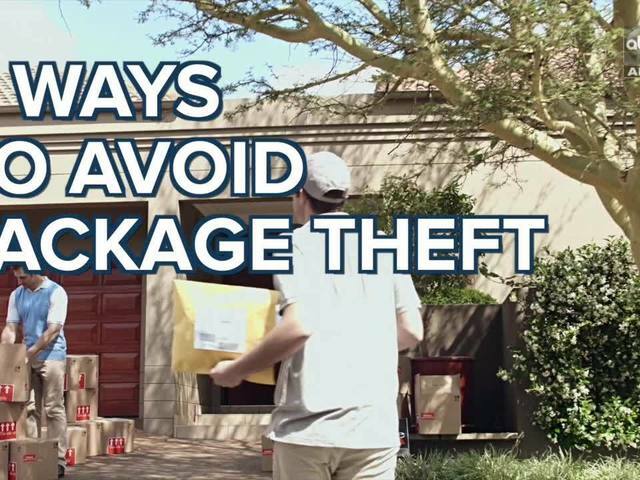 ABC15 collected the best tips to help prevent package theft! Watch the video above to make sure you get to your package before someone else does! RELATED: Cozy cabins to escape to in Arizona! MORE: Best hikes to see Fall colors in Arizona! ALSO: There is a REAL Polar Express in Arizona!